Scientists in Florida have begun an ambitious experiment — one aiming to turn Zika virus-carrying mosquitoes into their own worst enemy. As reported by the AP, Kentucky-based company MosquitoMate has been given the green light to hand off its specially raised male mosquitoes to the Florida Keys Mosquito Control District. On Tuesday, the District released 20,000 of them into a small section of Stock Island along 20 locations; a process they will repeat twice a week for the next 12 weeks. The mosquitoes have been intentionally infected with the certain strain of a bacterial parasite called Wolbachia, which dampens their ability to breed with wild females who don't carry a compatible Wolbachia strain. It's hoped these mosquitoes will intermingle with the local female population, who will then lay eggs that never hatch, wiping out the next generation without a single spray of chemical pesticide. That will in turn indirectly lower the risk that these mosquitoes can spread viral diseases that have begun to hit the state in recent years, like Zika and chikungunya. With the advent of the Zika virus, MosquitoMate has shifted gears from focusing on Asian Tiger mosquitoes (Aedes albopictus) to the species, Aedes aegypti, that primarily carries the virus. 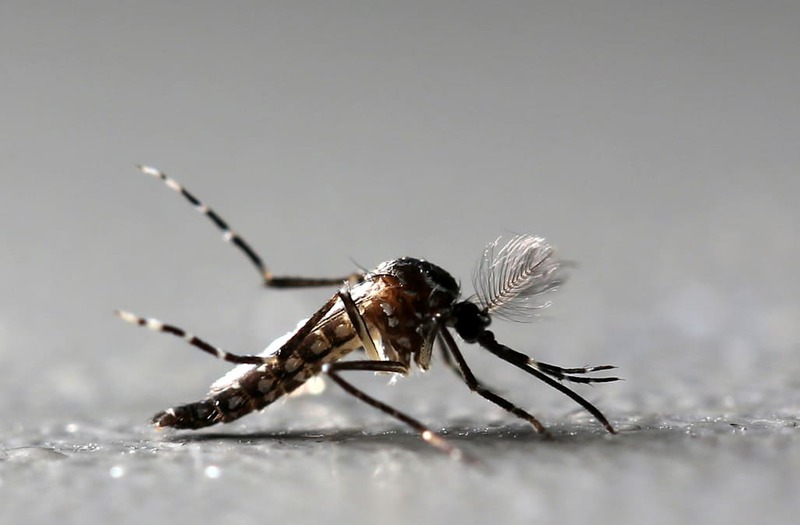 Though both species can carry numerous germs, aegypti mosquitoes are a bigger threat because they more easily spread diseases and like to bite people at any time of the day, whereas albopictus mosquitoes prefer feeding during dusk and dawn. Trials using albopictus mosquitoes have been conducted in three states since 2013, while a trial of aegypti mosquitoes occurred last year in California. MosquitoMate's experiment is similar to a recently approved but much more controversial trial also set to take place in Florida, with one key difference: Their mosquitoes, though raised away from the loving touch of females, are naturally bred, as is the strain of Wolbachia they're infected with. The approach favored by British biotech company Oxitec, on the other hand, genetically modifies their male mosquitoes to express a protein that then prevents them from breeding. Though the end result is the same, and Oxitec's mosquitoes have actually proved more effective at reducing the local population in some trials, residents in Florida and elsewhere have been much more reluctant to allow Oxitec's trials in their neck of the woods. Last November, the Florida Keys Mosquito Control District approved such a trial, but residents in Key Haven rejected having it held in their neighborhood, throwing into question its future location. Generally, while scientists have raised credible objections with both technologies — whether they could be ever scaled up enough to effectively control large mosquito infestations, for instance — the majority of research does indicate their harmlessness to both people and the environment. There isn't even the threat of biting from the scourges of new mosquitoes released into the wild, since only female mosquitoes bite. Another question surrounding the future of these Judas mosquitoes is how they'll be regulated. The ongoing approval of MosquitoMate's technology has been overseen by the relatively less restrictive Environmental Protection Agency, while Oxitec has been working with the Food and Drug Administration instead. The FDA is currently in the process of evaluating whether regulation of these separate but equal technologies should be better streamlined. The post Scientists Are Turning Mosquitoes Against Each Other In Florida appeared first on Vocativ.